Few stories have helped inspire advocacy on behalf of incarcerated trans women more than that of 37-year-old Ashley Diamond. Today her attorneys announced a historic settlement in her federal lawsuit. The black trans woman who was denied medically necessary care and allegedly subjected to repeated sexual assaults while incarcerated with men has reached a settlement in her lawsuit against the Georgia Department of Corrections. The Southern Poverty Law Center, which has been representing 37-year-old Ashley Diamond in her federal lawsuit filed in February of last year, announced the historic settlement (for an undisclosed amount) in Diamond's favor today. Diamond, a trans woman of color, was denied medically necessary treatment and forced into solitary confinement, and she alleges that she was repeatedly sexually assaulted by other prisoners in all-male Georgia state prisons while she was incarcerated for three years for a nonviolent burglary and theft conviction. 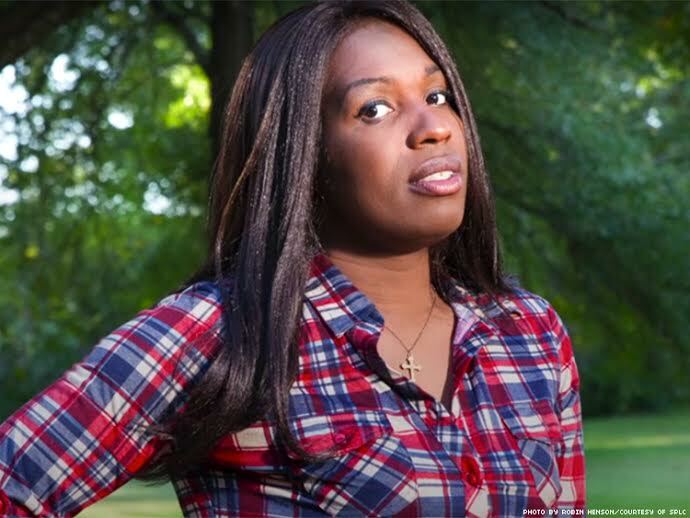 She was released from Augusta State Medical Prison last August and received judicial approval to pursue her lawsuit alleging anti-trans discrimination just two weeks later. In a new video produced by the SPLC, a glowing, refreshed Diamond speaks about her harrowing, dehumanizing ordeal. She says that prison officials not only mistreated her and enabled her repeated assaults but also stripped her of authentic femininity, in part by refusing to grant her access to the hormone therapy she had been receiving for 17 years prior to her internment. “I asked to serve my time safely and to be respected as a human being,” Diamond says in the video. "Yeah, you can cut all my hair off, shave my eyebrows off. You can take away that care that was very detrimental. My body was completely reversed. But that person is still here." After the U.S. Department of Justice issued a statement last year declaring that the U.S. Constitution requires inmates with gender dysphoria to receive medical treatment as any other condition would be accommodated, corrections departments were placed on alert. Last April the Georgia Department of Corrections began updating its policies to bring them more into line with federal standards for the treatment and health care provided to inmates. "It was torture. I might be free now, but I am still struggling," Diamond said last year in a phone interview with The Advocate. "Straight out of solitary confinement, but into another confinement here on parole. Parole stipulates that I must stay here in Rome [Georgia], and this town can be like a prison too. Yes, it’s a town in the Deep South, and down here you feel it even more that the transgender issue is the civil rights issue of our time."